La Bella’s Restaurant, Bar and Pizzeria in Valatie, New York is an Italian restaurant where the true taste of the old country reigns supreme. Whether it's Pasta Puttanesca, Veal Marsala or Calamari over Spaghetti, Pizza or any one of the dozens of home made Italian specialties, the delicious fare at La Bella's is guaranteed to please any palate. The cuisine at La Bella's hails from southern Italy, from Napoli to Capri, Calabria to Sicily. The old family recipes used at La Bella's remain true to the mouthwatering homemade dishes prepared in Mama’s cucina Italiana. In Italy, using only the finest and freshest ingredients in the preparation of the meal, is of the utmost importance. 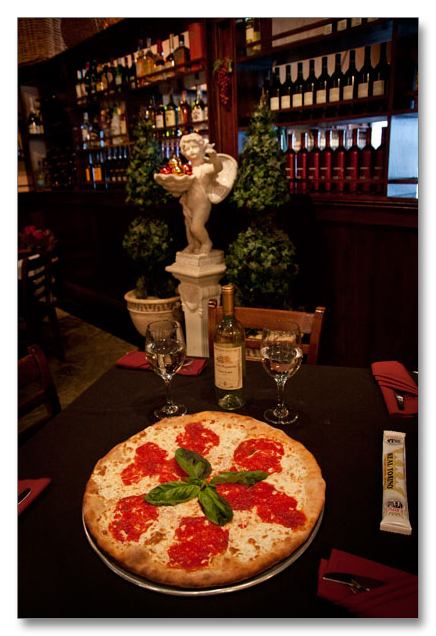 La Bella's believes that is one tradition to revere and to follow every day. Whether you’re in the mood for an appetizer, salad, sandwich, pasta, full entrée or pizza, La Bella’s is your place for a fine dining experience. When it comes to Pizza, La Bella’s is the place to stop in Columbia County. The carefully prepared complex ingredients that go into every La Bella Pizza will have your taste buds dancing with delight, because La Bella’s is very New York and Very Italian. We hope you will join us soon for lunch or dinner, a pizza or a slice to go.